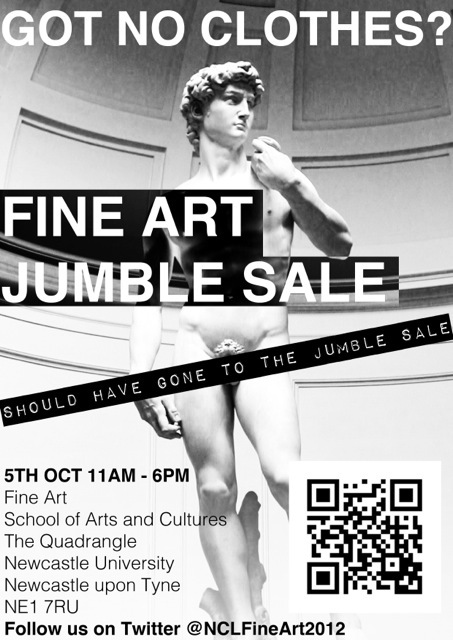 Shameless bit of plugging but if you’re in Newcastle today make sure you stop by the Fine Art student’s jumble sale! There will be all kinds of goodies from clothes to cutlery. One of my good friends Paul is a very talented artist and is trying to raise money for his final degree show. There’s going to be plenty of bargains to be picked up so don’t miss out! have fun there! thanks for your comment, dear! This looks like a very cool event – I'd love to go if I were local!